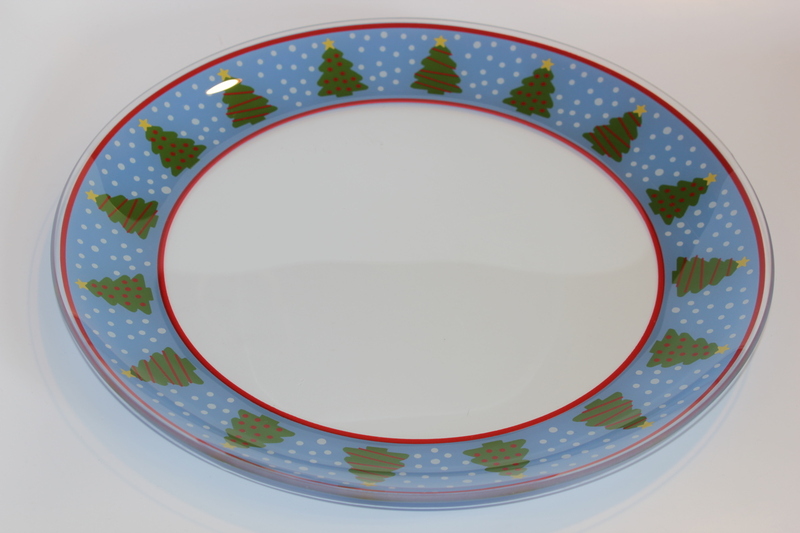 Our Christmas Plates are printed by silk screen and they come in snowman, Santa Claus, trees, wreath and poinsettia designs. 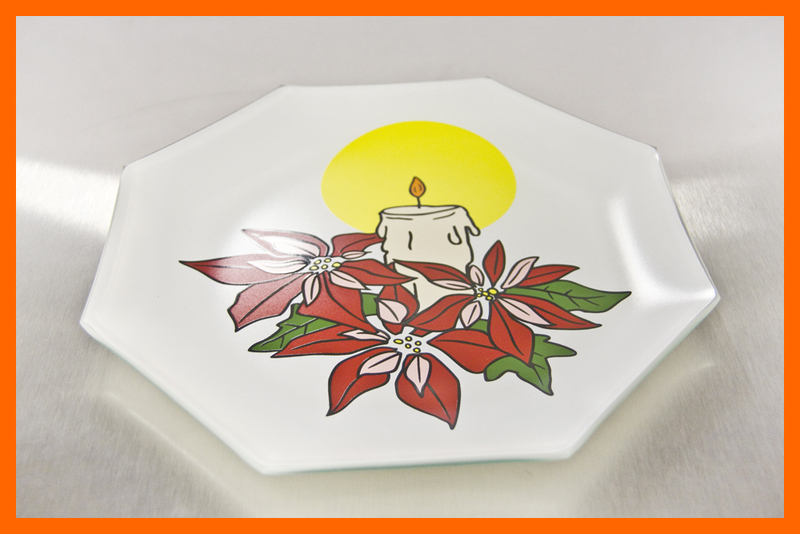 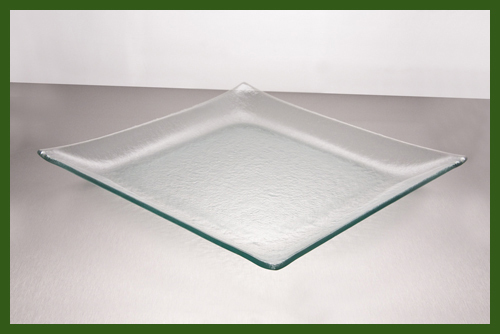 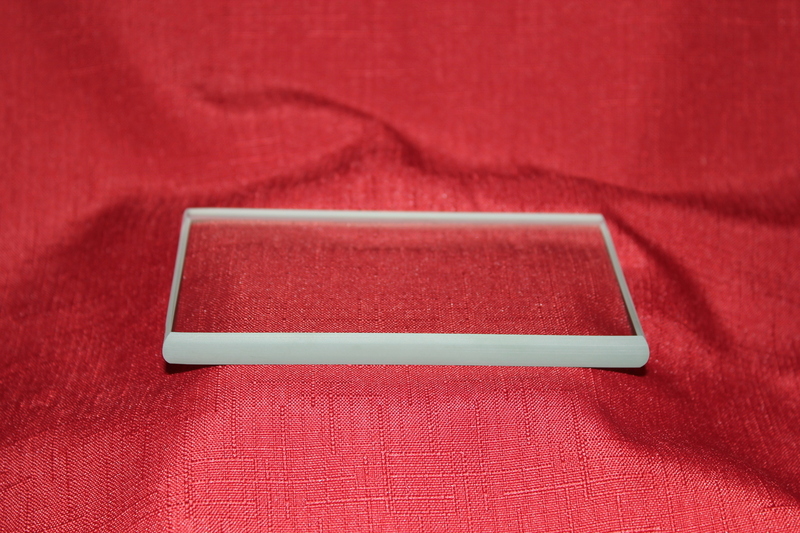 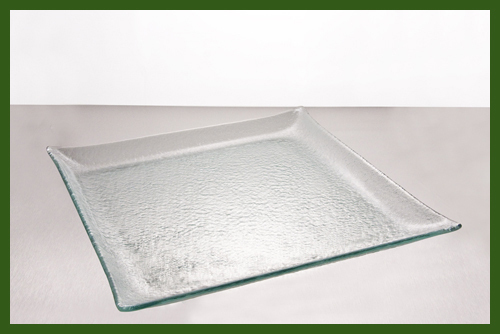 These plates make wonderful gifts and they are also great for entertaining. 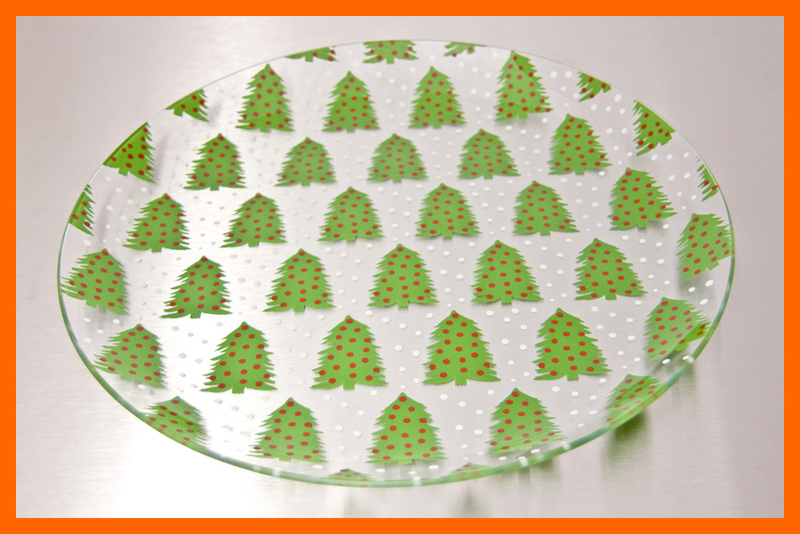 We recommend hand washing these plates. 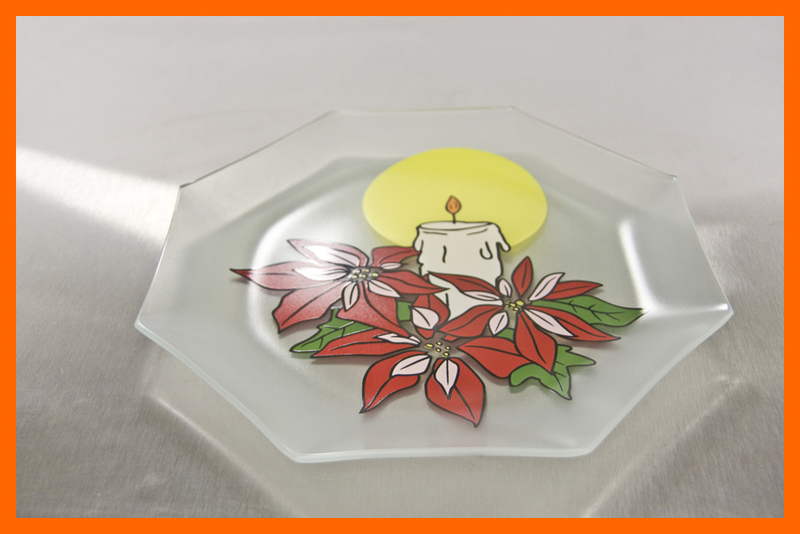 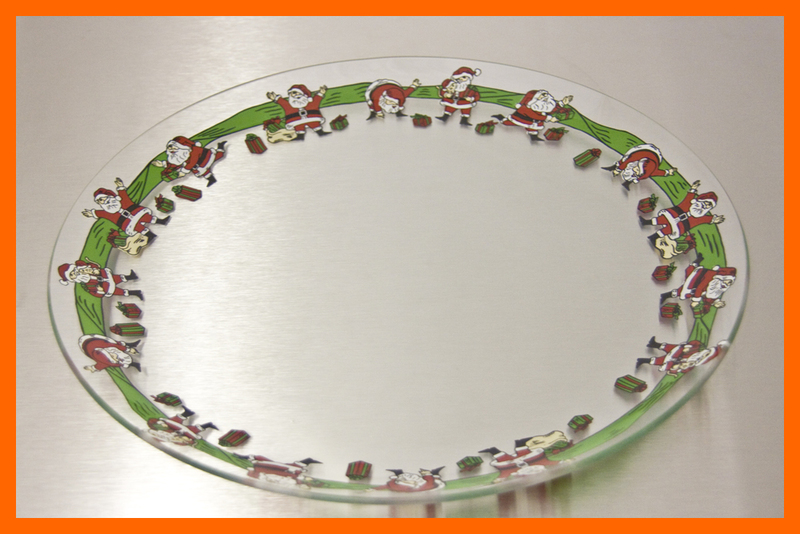 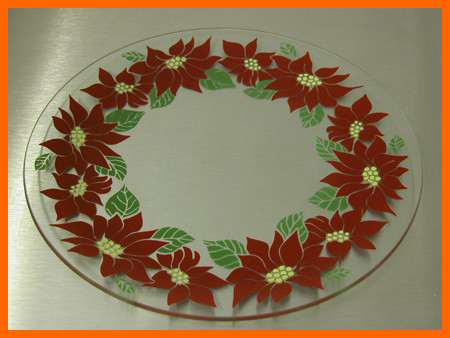 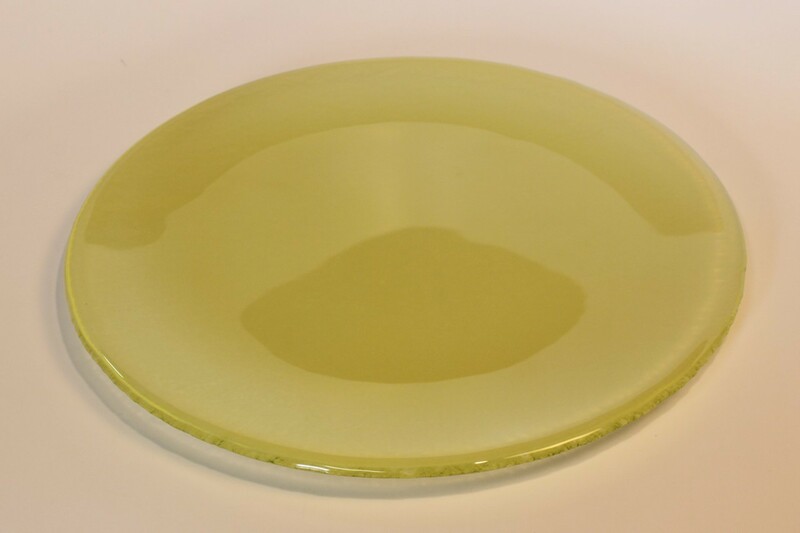 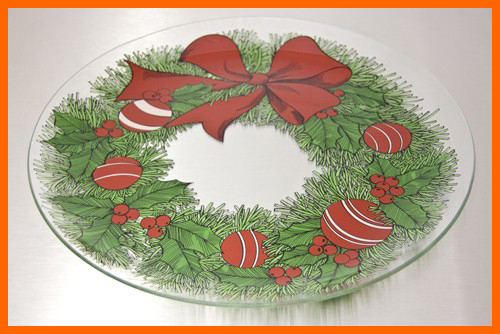 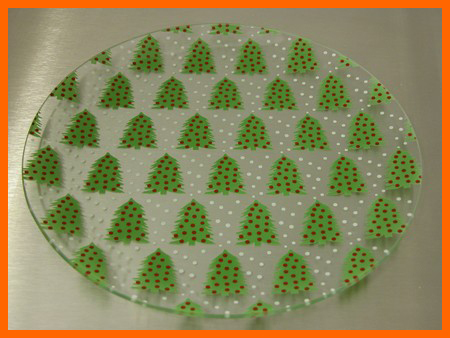 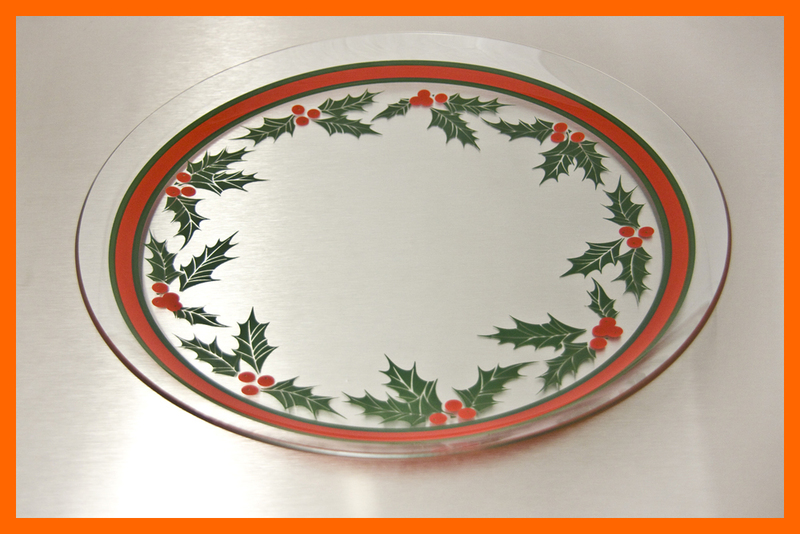 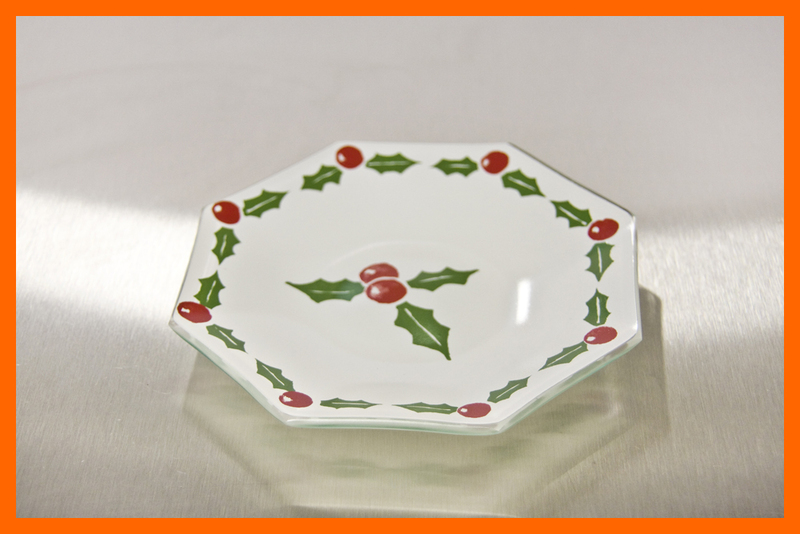 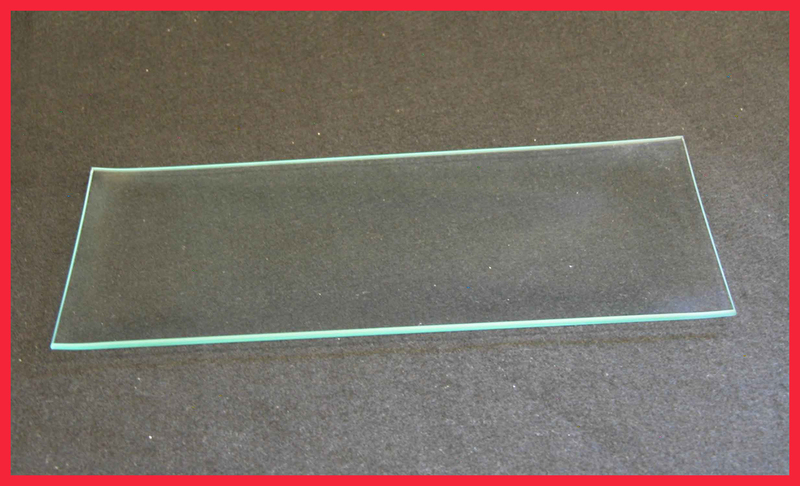 13" Round Christmas Wreath Glass Plate 1/8"